Lubomir Kaludov was born in 1953 in Shumen. By profession he is a doctor - a surgeon. He works and lives in Burgas. 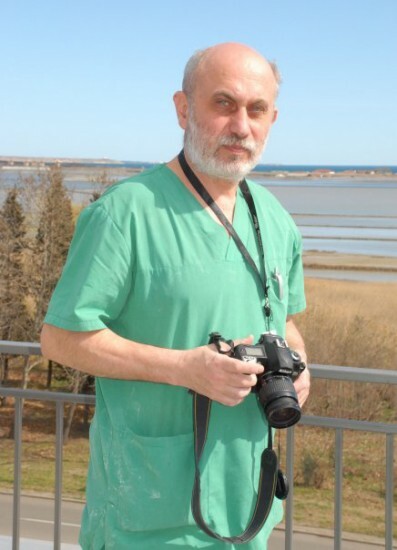 He has specialized in plastic surgery in the Czech Republic. His first book of poems "Rhymed foto angles" was printed in 1999 by publishing studio "AB", Sofia. He was awarded with the prize "Helicon" in year 2000 in Burgas, and the edition was presented at the book fair in Los Angeles, USA. His second poetry book "Warehouse for old feelings" was released in 2005. Dr. Kaludov defines himself jokingly as "semi-professional photographer," but it is not quite a joke that among literary competitions he manages to win photo ones too.